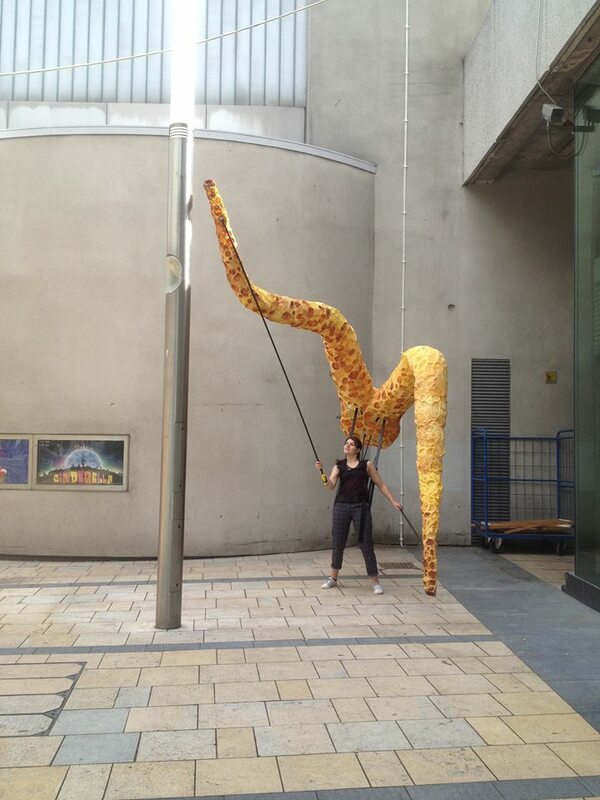 Citizen Squid is a medium-scale puppet spectacular created and conceptualised by 'Puppets with Guts' theatre company. "What happens when you take a big fish out of water and debate it's fate?" A project about compassion, Citizen Squid considers the implication of allowing a fear of the 'other' to overrun our collective best judgement. Highly, visual and engaging, Citizen squid tackles big themes in a fresh, innovative way. Citizen Squid premiered June 2015 as part of the Lyric Hammersmith's 'Theatre in the Square' program. Rosa Douglas was involved with the initial build and prototyping phase of the project. She worked to help develop the foam tentacle 'skins' and designed suckers for their undersides. She also performed with the Squid during its first tour in the North of England.